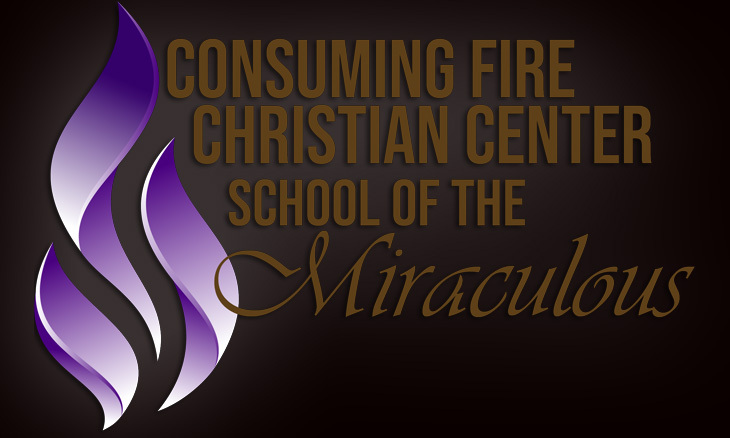 We just changed our school name from Consuming Fire Christian Center Supernatural School to Consuming Fire Christian Center School of the Miraculous. Our school is mandated to raise a generation of believers who are filled with the fire of the Holy Ghost and revelation of Jesus Christ. Each believer will be equip to walk in the Miraculous power of God as they carry out the mission of the Kingdom of God on earth. They will be walk and reflect the ways of God in character, in intimacy with God and in demonstration. It is the schools desire to see believers trained and released to walk in miracles, signs and wonders as they impact this generation and every generation to come. Job 33:14 For God speaketh once, yea twice, yet man perceiveth it not. Job 33:15 In a dream, in a vision of the night, when deep sleep falleth upon men, in slumberings upon the bed; Job 33:16 Then he openeth the ears of men, and sealeth their instruction, Job 33:17 That he may withdraw man from his purpose, and hide pride from man.